Experience Edmonton with a completely different shape. It very nearly happened! It’s 1905. Edmonton is growing fast while architects and urban planners compete to design a grand metropolis. In this edition of RetroFutures, watch as one movement—the City Beautiful—briefly grips the city, inspired by the monumental grandeur of Paris and Chicago. How did this fleeting movement shaped the Edmonton we know today? Where can we find its footprints today? 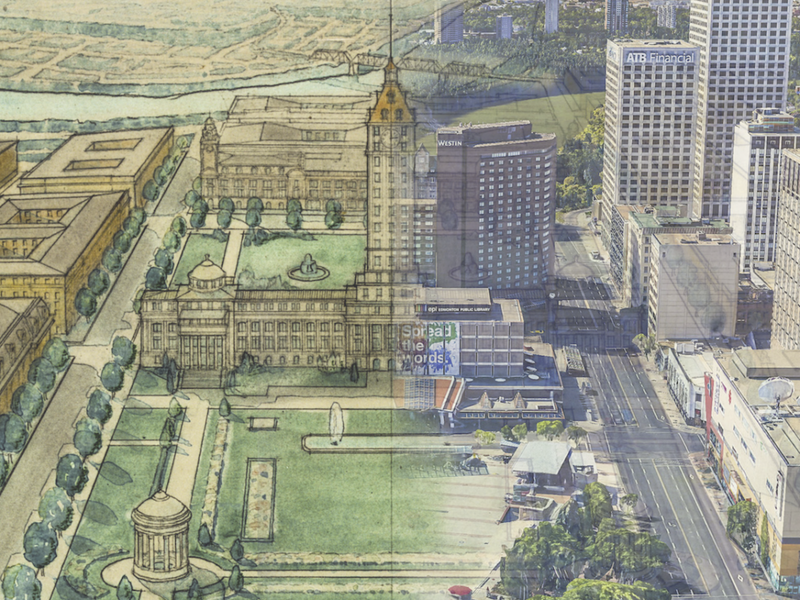 Combining rarely seen archival maps and renderings with stereoscopic 3D imaging, architect Darrel Babuk and videographer Dylan Reade explore another Edmonton what-if in this eye-popping 3-dimensional history lecture. This is a two-hour presentation from 7:30-9:30pm, including a 10 minute intermission.